…yes, even you that you that just got your first computer or got online for the first time ever. I would suggest you to bookmark this page and read this article carefully to fully absorb the ideas you will find here. Am I going to do this as a hobby? Is this a trend I’m following or I’m really determined to blog? How can I make money out of my blog? Joshua Becker names 15 reasons he thinks you should blog here and I totally agree with him. So, here comes the second part. Why Do You Want to Learn — How Do I Start a Blog? To be a good blogger, you need to be an inspiring person (nothing like me, lol). But really besides joking, for people to come and read your blog, follow you and connect with you, you will need to inspire — help — motivate your readers. You will need to learn how to make a difference in the lives of others and that’s why, in the end, blogging turns you into a better person if you are consistent with your message and presence. Are You Going to Start a Blog as a Hobby? Learning — how do I start a blog — will require from you to take time and fill your blog with fresh content in consistent time periods. That alone means that you will need to devote some time researching into the topics you like to read and learn more about, thus becoming a kind of expert in these topics. All this requires time & effort from your part and it is not going to be a fast ride, however it is going to be a great journey. Another important part of starting a blog is that in the process you will need to learn how to create your own personal brand. Don’t forget that people trust people and buy from people – it will be a great advantage for your blog popularity to know how to increase the perceived value of your content. People will tend to recognize you and your content more while at the same time your content will receive more social media love. This alone will expose your ideas to a larger network and then who knows, maybe you get asked to do an interview or have a joint venture with another blogger. But for all this to happen you will need to consider your blog as something important that will create new opportunities for yourself and your business. Here is the most important part in my opinion. Now let’s say you have a great reason, you want to inspire people and you’ve planned out everything — even chose what platform you are going to use and what topic are you going to expand into. You are still going to invest energy, time and effort in there — don’t you? 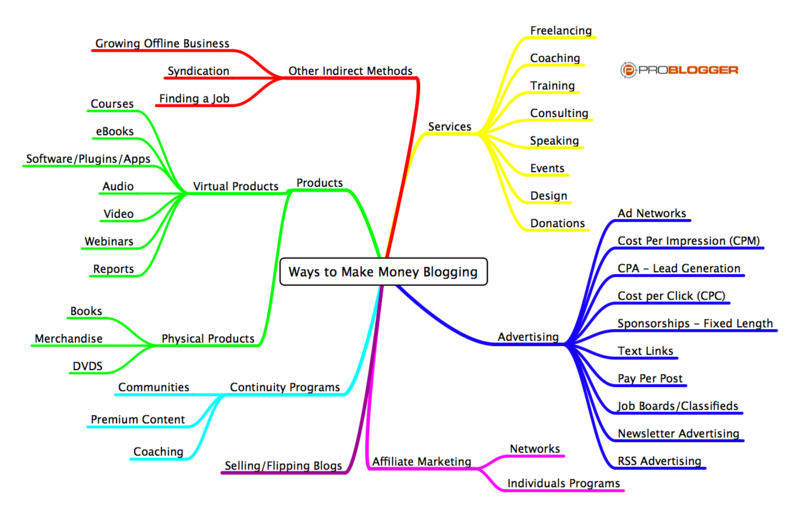 Here is the blogging system I use to earn money blogging about my passion << In this part I will name the best choices you can find out there to monetize your blog and build a nice income online, hell you could even travel the world and live a dream lifestyle using your blog as I’m doing using this “All-In-One” Digital Marketing Platform. AdSense is text and banner ads that use Google’s technology to appear and auto-optimize for your blog, earning you and Google a significant amount of money from the advertisers. It is one of the top choices, even for blogs with small traffic numbers. You can register for a Google AdSense account with your Google account going to google.com/adsense. The way you can use affiliate programs is to promote some service or product from a 3rd party vendor, on your blog, earning you some commissions for sending users to buy from there. This includes recommending quality products, digital services or even using Amazon’s affiliate program to do the hard work for you. Becoming an expert on your topic can create a good income for you if you use your expertise correctly. That is by creating some ebooks you could sell on your topic or even plan and create a continuity program, on your blog, that users will need to subscribe to get access to. Lastly and provided that your blog has grown up to attract a lot of traffic in your topic you can extend your income by selling specific ad spots on your blog or even attracting some sponsorship from 3rd parties who want to place their product on your blog. This is my personal favorite choice. It’s super flexible to set up (no need for any kind of HTML, coding, servers, hosting and other tech mambo jumbo), in fact you could start blogging in 5 mins from now. The best part comes from the ability to earn up to $4.000 per sale and 70% commissions from every product sale you make. This cannot even be compared with Amazon’s 4% for example. Here is where you can learn more and get a trial account to test it out. To wrap this up, after years of trials and errors, I discovered that using an automated “All-In-One” marketing system could do the work way easier and create a lot more profit for me from my blog. If you are up to learn how do I start a blog, don’t forget to learn how to monetize it here. Super Valuable post Vasilis, a great resource for anyone looking to get started with a BLOG. You really over delivered here. GREAT Info here and yes it does take time and patience but so very worthwhile in the long run! I also love the benefits we get from blogging! You’re blog is extremely helpful for all of us! I didn’t know that turtles were that big. Great post with great content. Glad you found this post about starting a blog useful Dan. I love mindmaps … thanks for this one! Actually I thought it was a whale, lol. I loved the video Vasilis and your tips, strategies and advice about blogging are spot on. Valuable information here that can help people define if they are blogging for their hobby or are really serious about building a business with it. Good job!